Decorate your space with the help of all your favorite Disney! 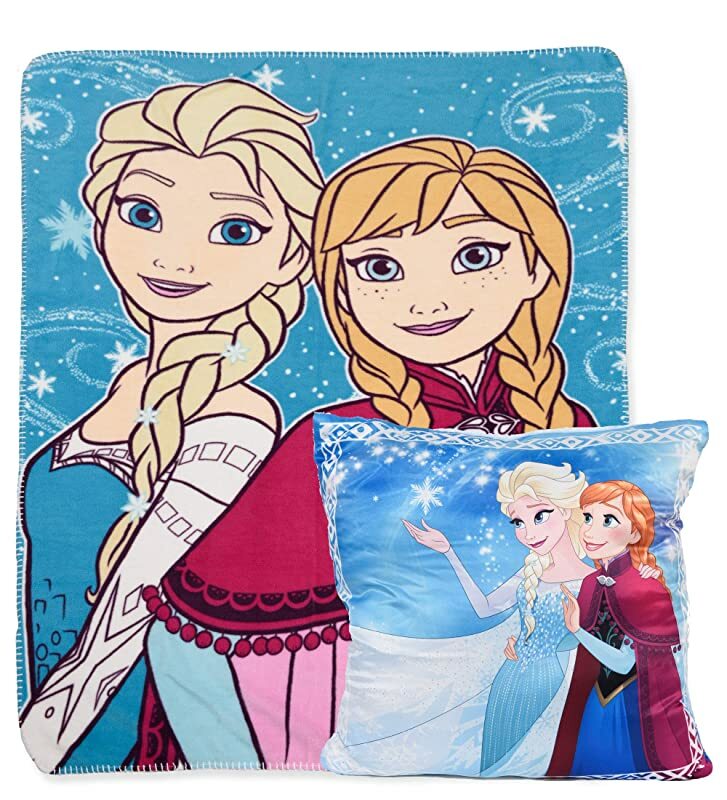 This set includes a super soft square cushion with a cozy throw blanket. It makes a great decor accent for the kid's couch and looks great on a bed! It's lightweight and warm, making it the perfect blanket to cuddle up with on the couch or to toss on the bed. The square cushion is ideal for toddlers, travel, or just hanging out on the couch. You'll want to take it everywhere and can take it everywhere. Great for use as a gift item.